Angie Thomas » Royalty Free Music and where to find it. Royalty Free Music and where to find it. Collaborative sharing on-line is often a useful tool to complete a project. I am experiencing more and more, an attitude of community within the creative arts. I wanted to celebrate the individual companies and people that I’ve discovered personally. I really enjoy looking on-line for music that I can use in my work. Completely original and often made by artists that use the social media platform, just as I do, to promote work. Music licensing is a bit of a confusing minefield, so I’m always sure to read the conditions of a musicians license before I use the track. There are corporate sites that offer royalty free licensed tracks from £30 upwards, but over the time I’ve worked as an editor I’ve become increasingly more and more bored of the lack of choice and range of music on offer. So I went looking elsewhere. When I’m editing work I always start with the audio. It will mould the pace and overall feel of the whole piece, so its important to choose the right sound. I have to feel excited about editing to the music I choose. The Website on first glance is of a basic design but the functionality is perfect. There are lots of tracks to choose from and from every genre and style. If you need to use a track and can’t give attribution to Kevin you can purchase a ‘No Attribution License’ and even this is easy and affordable at $30 a track, less if you purchase more than one. There is a donate button too if you, like me, think that Kevin should be rewarded for his creativity. Why do you allow people to use your music and don’t charge for it? 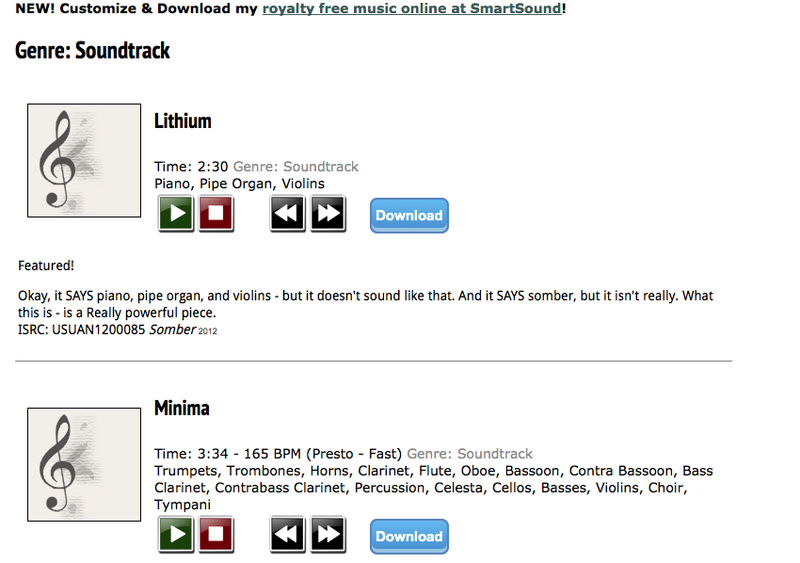 Vimeo music store launched recently and offers all its tracks for non commercial license and to just simply listen to. I really love the design of the site and find it easy to navigate and use. 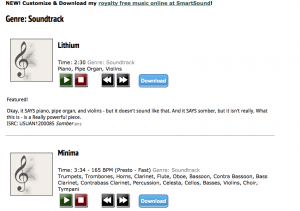 Personal and non creative music licenses are either free or $1.99. Independent or small business (earning less than $20 million) licenses are priced at $98. There are some amazing tracks on the site I recommend visiting. The Website is pretty too! He always kept preaching about this. I’ll send this post to him. Pretty sure he’ll have a great read. Hey thanks Dean, really nice of you to comment.